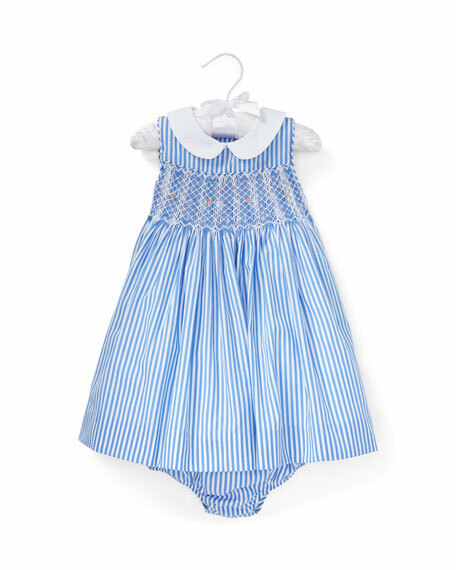 Ralph Lauren Childrenswear pintucked dress. Contrast Peter Pan collar with flower embroidery. Dress, bloomers, and linings: cotton. For in-store inquiries, use sku #2529492. 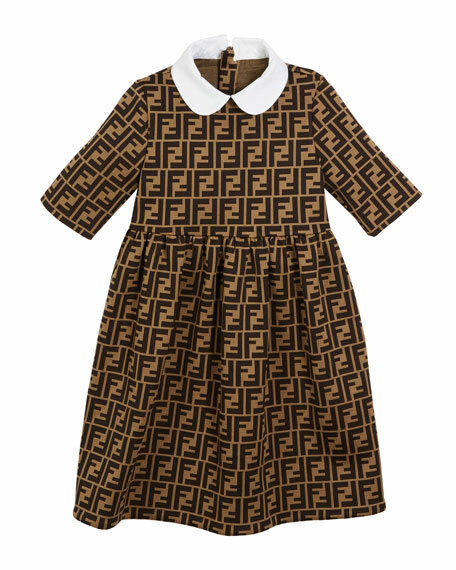 Fendi dress in allover FF-pattern jacquard. Solid, contrast Peter Pan collar. Half sleeves. Pleated at front waist. Hidden back zip. Side slip pockets. A-line silhouette. Body: cotton/polyester. Collar: cotton. Made in Italy. 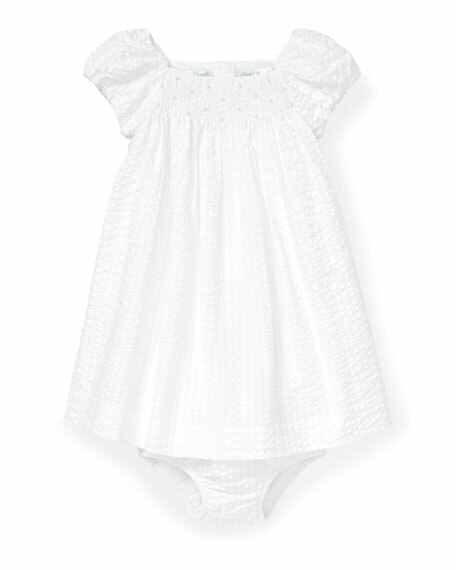 Ralph Lauren Childrenswear woven dress. Crew neckline features contrast rounded broadcloth collar with hand-embroidered flowers. Sleeveless. Two-button back. Shirred at front and back yoke. A-line silhouette. Includes matching bloomers. Ships with padded satin hanger. Cotton; machine wash. Imported. Ralph Lauren Childrenswear seersucker dress. Hand-smocking at the front yoke. Square neckline; self covered button back. Short sleeves; elasticized cuffs. A-line silhouette. Includes matching bloomers. Ships with padded satin hanger. Cotton; machine wash. Imported.